thank you a lot for your comments. 3-view picture in my Reply #42 above is corrected now. Massimo, I saw it on some photos, but in this case it was more my mistake, making them too bright. KL, yes, white trim should be thicker, I corrected it. - Wow, how how twisted is overseas technology! 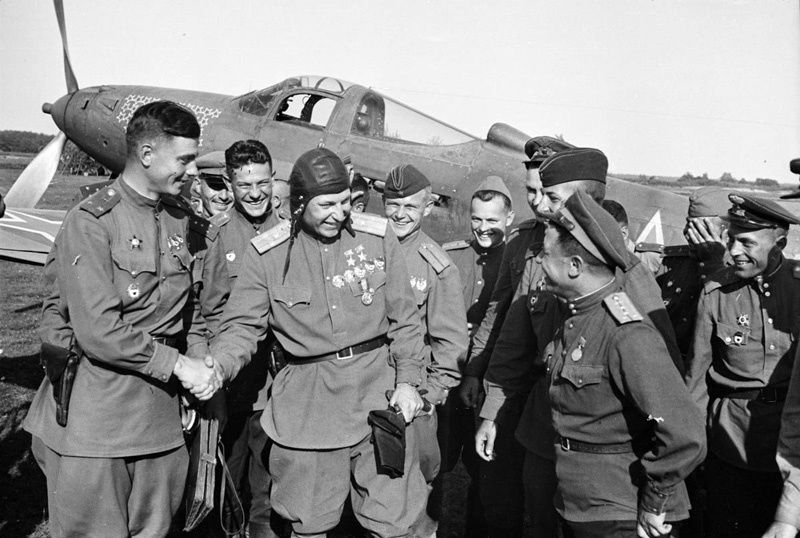 I did not think that the plane will fail... said Klubov with smile. 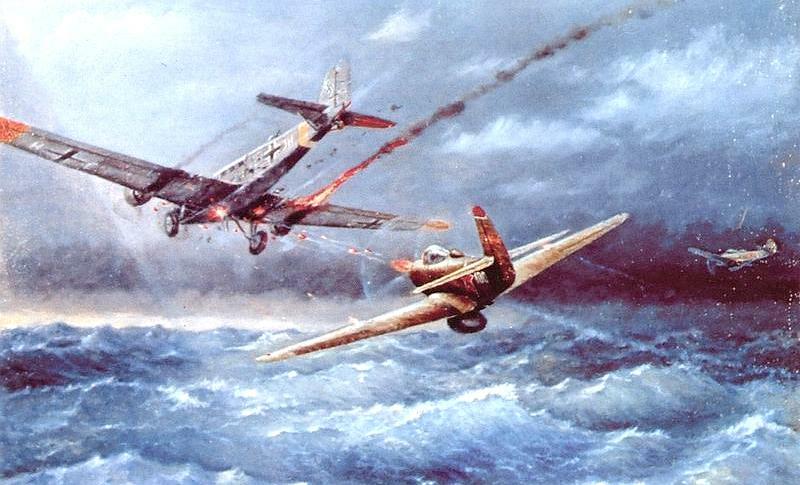 Rechkalov was a bit unlucky. 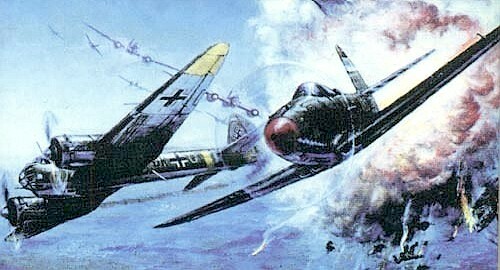 He hit "Ju-87", but when flying away from attacked plane, he pulled on the stick too much, very sharply and his "Cobra" deformed." e.g. 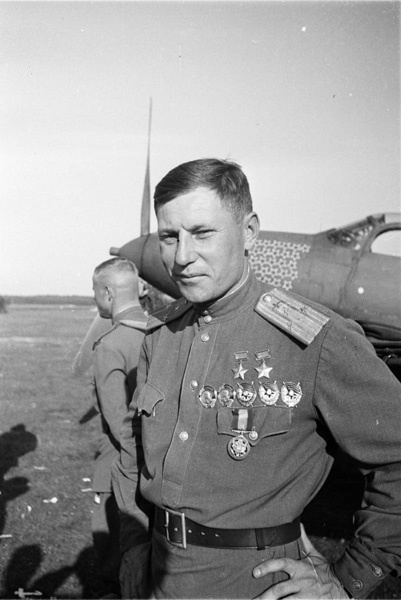 Klubov's and Rechkalov's Cobras were deformed by overload during wild flying maneuvers. Although Sukhov's memoirs do not 100% confirm it, they at least support theory about the replacement of the tail and/or the reinforcement of the rear fuselage on the Rechkalov's Cobra. the information you found is very usefull. 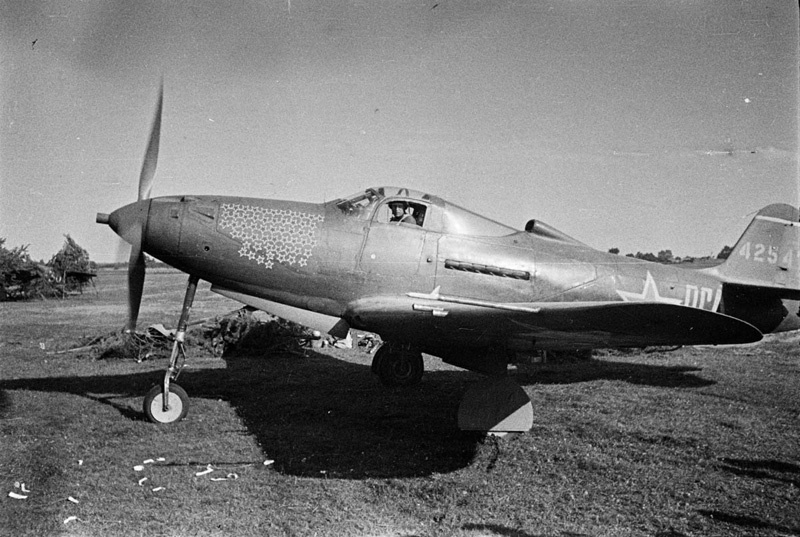 Unfortunately however the episode occurred at the end of August 1943, 11 months earlier compared to the photo session of P-39N "RGA"; probably a long time for a single plane used by Rechkalov. 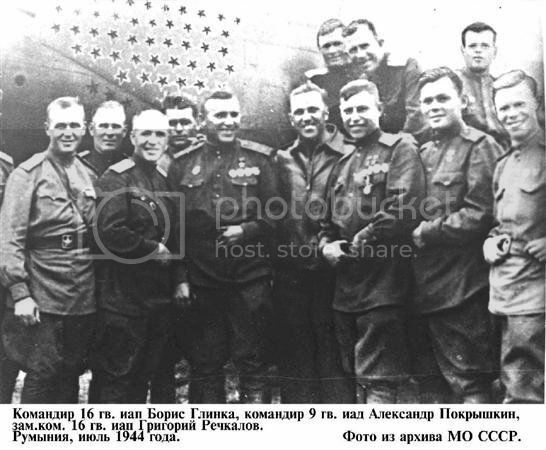 Have a look to russian forum http://vif2ne.ru/nvi/forum/0/0.htm ; it seems a new photo about Rechkalov has came to the light. can you please post new photo on this forum? It isn't July/August... it is almost certainly June 1944. 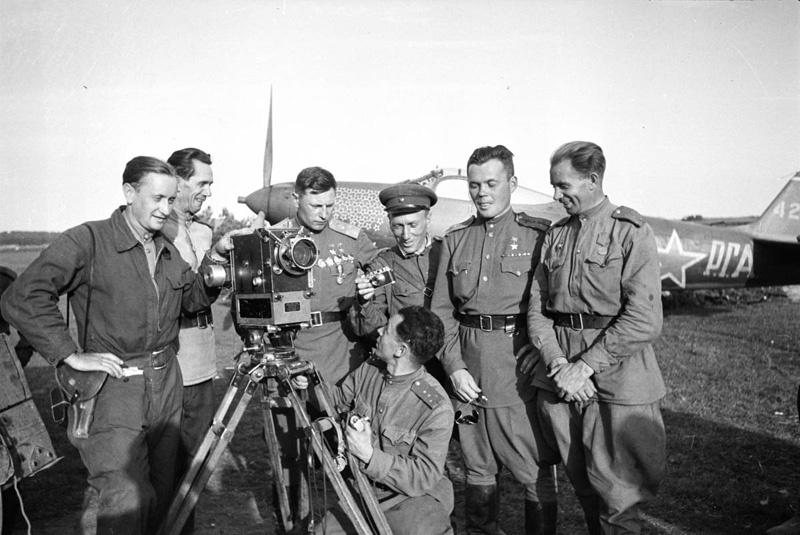 Several photo sessions were made at the airfield with caponiers covered in sodding. Either Stefaneshti (first half of June) or Todirani (second half of June) airfields, more likely Stefaneshti. For those who didn't read Tabachenko's book: at the beginning of July, Pokrishkin's 9 giad was transferred from 2nd Ukrainian Front to 1st Ukranian Front. Unfortunately the quality is very bad and the nose of the plane is cropped. Just usefull to confirm the red victory starlets without white border. Here the wing cannon are clearly visible. 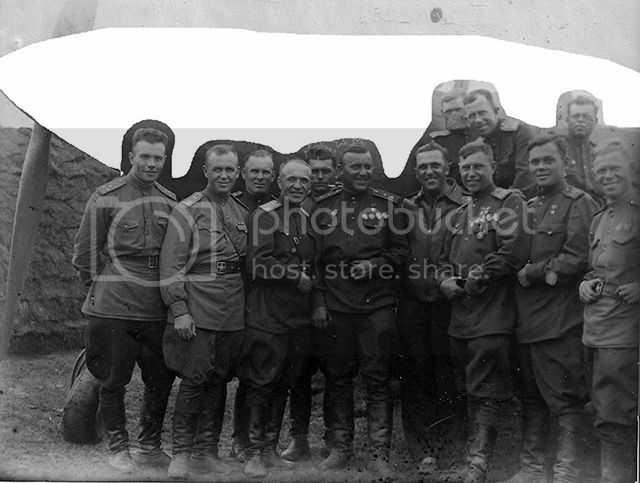 Photos above are made by the famous photo correspondent Arkadiy Shaihet. thank you a lot for excelent photos. May I ask where are they from? I am still around. But real life circumstancies have caused that I had to slow down my hobby activities. - not sure whether rudder is of lighter color than rest of the tail, or it is only a game of the light/shadow. 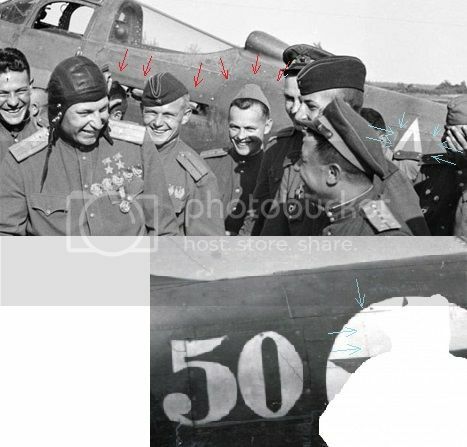 These pictures really support (if not confirm) theory that whole rear part of Rechkalov's Cobra was substantially repaired and repainted. And fuselage red star was without blue disc while blue disc on the wing was kept there. I will rework the profile of this Cobra after we come to consenzus about its new appearance. I think that the spinner should be revised. In first place, I can't see any step between the spinner itself and the tube in front of it. Besides, I can't see any evidence that it was of different color than the nose or that it had a glossy finish. spinner is OK, there is a step, but photo is not sharp enough to show it clearly. However, color of the spinner is a good question - it has the same shade of grey as the front fuselage. On the other side, the red star is brighter than the aft fuselage but the top of the tail is darker than rest of the tail, it looks like two different shades of the red color. Almost like in scale modeling - red airbrushed in the thin layer over white backround (e.g. 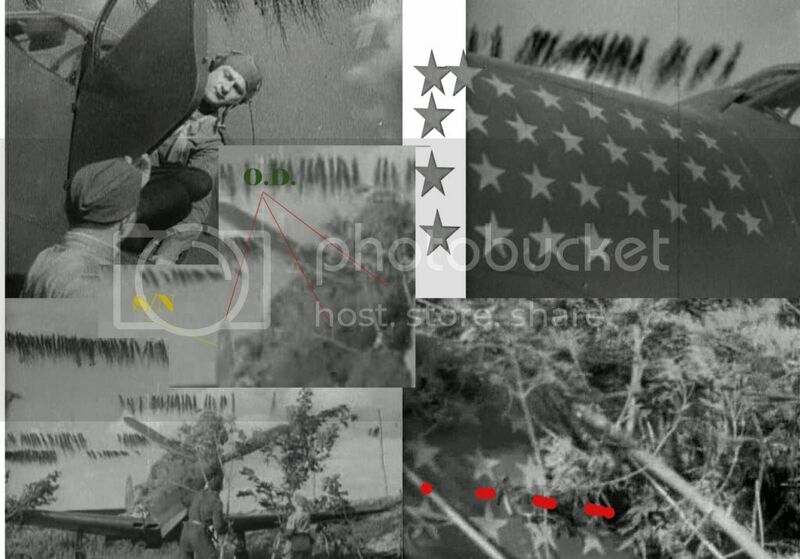 original white star) is brighter than red airbrushed over dark backround (Olive Drab). I think that the spinner should be revised... I can't see any evidence that it was of different color than the nose or that it had a glossy finish. 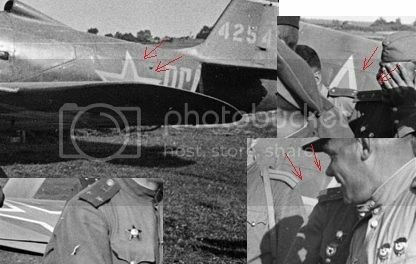 We have discussed this many times: b/w photos cannot be used as evidence for any colour... Rechkalov's Airacoba could have been orange with green spinner and on b/w photo it would look the same as the real one which was brownish OD with the red spinner. Could be, but the red paint should be gloss while the OD should be matt, and we don't show any difference in shining, not only in shade. Please compare to how the shade of the fuselage star changes according to the curvature of the surface; it is completely different from the spinner. Besides the red on the star and on the tail appear different. All this is seen not on one photo only, but on many ones. So, I won't discuss that there are planes with red spinner on that unit, but the one on these photos doesn't seem so. His answer was that on this particular bw photo there is no difference between front fuselage and spinner in terms of tonality. I know that red spinner and top of the tail were recognition markings for 16 giap. 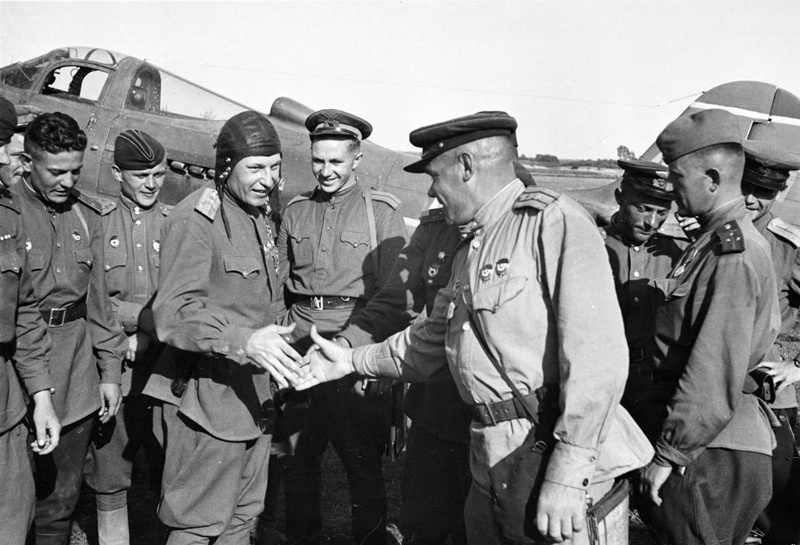 "Concerning labeling/marking of the plane from a newsreel, it belongs to Dmitri Glinka from 100 GvIAP, note that the regiment belongs to 9th GvIAD and was supposed to have the symbol on the tail and spinner, but it had not!"